Milk Bar is ready to become the voice of all things cake, with 100 delicious and creative recipes, plus 100 photographs. 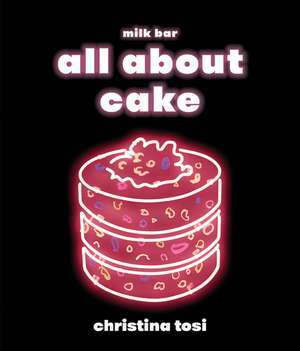 In All About Cake, Christina Tosi takes us into the sugar-fueled, manically creative cake universe of Milk Bar. 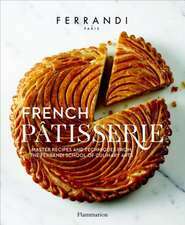 From two-minute microwave mug cakes to gooey Crock-Pot cakes, from Bundts and pounds to their famous cake truffles and, of course, their signature naked layer cakes, this book will help bakers of all levels to indulge in flavors like classic Birthday Cake and true originals such as Pretzel Cake with Stout Ganache and Honey Frosting. Along the way, Tosi reveals the method behind her team's creativity--the formulas and matrices that will allow you to invent any cake flavor you can imagine.